The levayas of five of the six victims of the Egged 402 bus crash will take place today, Monday, 6 Adar I. The levaya of the sixth victim, Levi Yitzchok Amdari z”l, 17, took place at 3:00AM in Yavniel. The levaya will take place at 12:00PM at Shamgar in Yerushalayim and kvura will be in Har Menuchos. Yaakov Meir was a member of the Breslov community and learned in a Meah Shearim kollel. He lived with his parents in Ramot. He was traveling to a shidduch on the 402 bus in the hope of closing and having a l’chaim towards entering the next stage of his life. 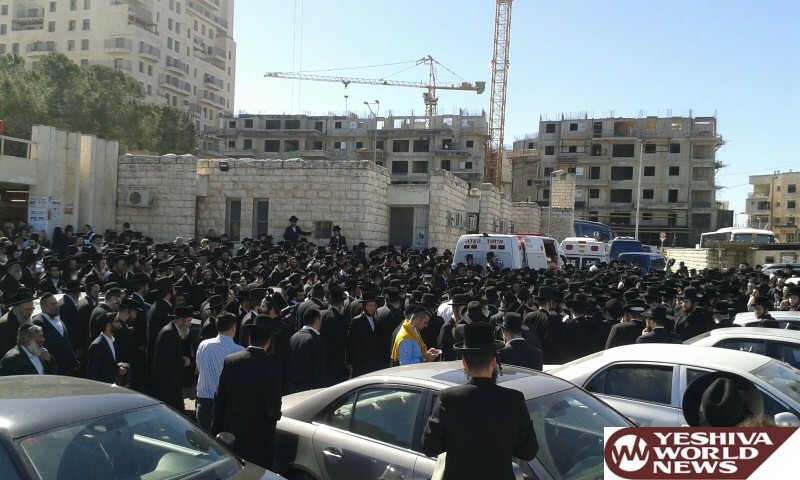 The levaya began at 10:30AM at Shamgar in Yerushalayim and kvura will be in Har Menuchos. The niftar was a talmid Yeshiva Eitz Chaim Bobov. The levaya will begin today at 11:00AM at the yeshiva in Bnei Brak and then continue to Yerushalayim for kvura. The niftar is described as a masmid, loved by all who knew him. The levaya took place during the night, at 3:00AM in Yavniel. Levi was a member of the Breslov kehilla and the son of Rav Hillel Amdari, a prominent rov in the Breslov Yavniel community. Mrs. Malmud lived on Ezras Torah Street in Yerushalayim. The exact time for the levaya is to be announced. Her husband is Rav Naftali, a known talmid chacham in Yerushalayim. Mrs. Melamed teacher for halacha in Rav Mendelson’s seminar in Yerushalayim. Her son is scheduled to get married in a month. Mrs. Mendelson was a daughter of HaGaon Rav Yehoshua Gruzinsky, Rosh Yeshivas Bialystok and a talmid of Rav Baruch Ber the Birchas Shmuel ZY”A. The nifteres was a daughter of the Biala Astrovtza Rebbe Shlita and the daughter-in-law of the Betushan Rebbe Shlita. She was married for just two years. The exact time of the levaya is to be announced. Levaya details for Mrs. Leah Malmud: 3:30pm in front of her home, Rechov Ezras Torah 29, Yerushalayim to Har Hazeisim.